Revitalized, smiles, energy, creativity and new faces walked in through the doors of Eleva-Strum on August 27th. The excitement and wonder of what the year would bring was in the air. Four days of listening, learning, participating and sharing took place among the staff here under the Cardinal. 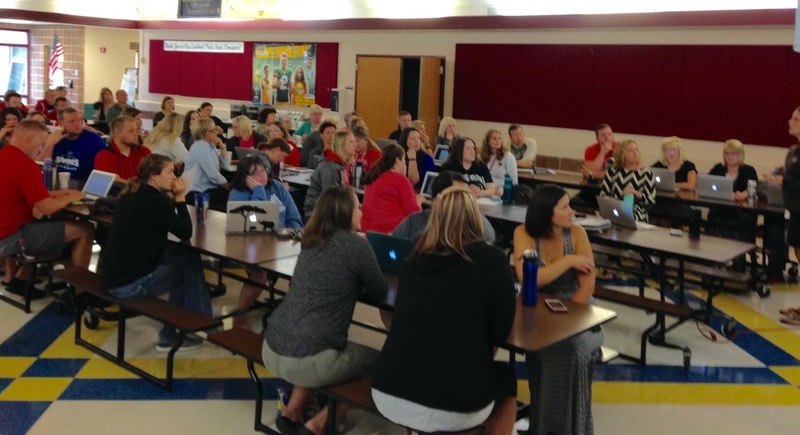 The staff worked diligently all week to prepare for the opening day of school. The students and parents had the opportunity to come in on Wednesday and get a sneak peek at what the environment would be like in their classrooms. You could see the excitement in the kids through their eyes, smiles AND energy! What a great way to start the year! Welcome back to School!